AltoPartners supports IACCM members with leadership, senior executive and mission critical talent to achieve business excellence. The AltoPartners alliance has created a distinctive force in executive search worldwide, with over 200 partners and consultants working out of 51 offices in 30 countries across the Americas, Europe, the Middle East, Africa and Asia Pacific. 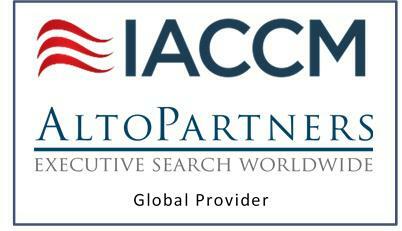 AltoPartners is a global member of the AESC. Our relationship and collaboration is represented through this badge. With experienced consultants fostering long-term client relationships, AltoPartners offer clients flexible and innovative solutions that are tailored to meet their individual and unique needs. Each firm is owned and operated by a local country Partner, who understands the culture of the region and provides expertise to best serve the client. Through AltoPartners, each firm has the ability to support the international development of clients’ businesses and provide access to candidates throughout the world. Each assignment is partner-led; ensuring that the same level of professionalism and client service are achieved on every search, wherever it is carried out across a diverse range of sectors, industries and geographies. Visit the IACCM Jobs Board for more information about how we can help you, whether you are looking for a new role or seeking new candidates for your organization.